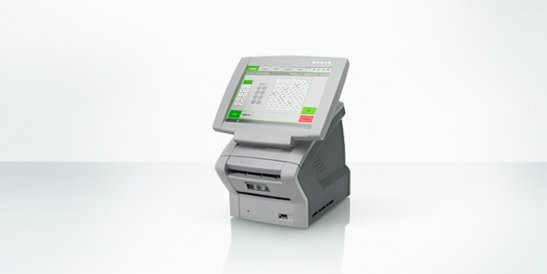 The high degree of modularity of the KEBA lottery terminals makes it possible for the devices to be individually, flexibly and cost-effectively combined in the field. Both systems support all the usual functions on the market. Future expansions and individually adjusted special solutions are possible at any time. 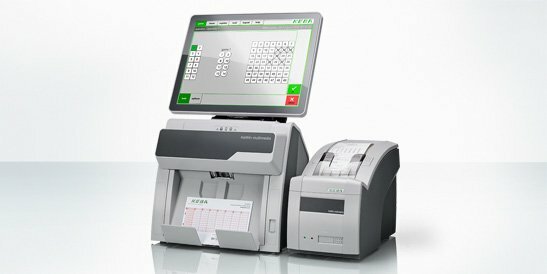 The KEBA lottery terminals, produced in Austria, are of first-class quality that is reflected in the high availability of the devices, among other things. A low failure rate relativizes the acquisition costs and ensures maximum customer satisfaction particularly at the points of sale. 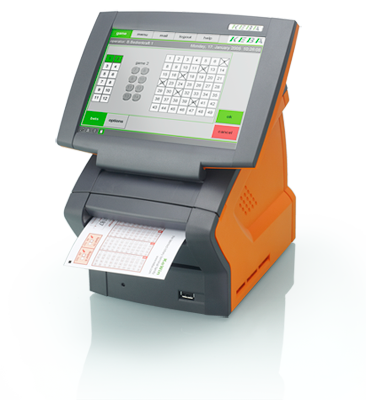 The KeWin multimedia and KeWin micro systems can be coordinated into a terminal mix to the exact betting slip volumes of the respective point of sale because of its modularity. A common hardware and software architecture makes the terminals flexible and economical. Thus, they are perfectly adjustable to the respective requirements depending on needs. We fulfill all of your requirements - even future ones. Whether is the readability of betting slips in a special format or a special color scheme for the housing, the lottery terminals from KEBA will fulfill all these expectations. The modularity of the hardware and the software allow exact configuration of the devices according to the respective requirements. Its not a problem if this changes over the course of time. A potential upgrade in the future or necessary expansions are possible at any time with KEBA devices.